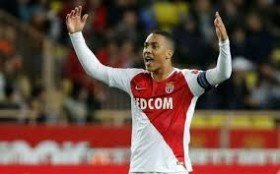 Both clubs are preparing to match Monaco’s £20 million asking price for Belgium star Youri Tielemans, though Leicester still have the upper hand in the race to seal the signature by offering an Adrien Silva plus cash deal. Tielemans, 21, signed for Monaco from Anderlecht in May 2017, with a 5-year deal. The Belgian star is considered one of the brightest young prospects in football. Tielemans would be the perfect solution for Leicester, as they have seen a dip in performance losing their previous three games against Newport County, Southampton, and Wolverhampton Wanderers. After missing out on PSG midfielder Adrien Rabiot who’s contract expires in the summer, Tottenham could use him too as a replacement for Dembele, who left the club earlier this month. He would also provide competition and cover for Harry Winks and injury-prone Sissoko. Netting 5 goals in 20 games, he is a perfect long-term solution who could fit into any squad. While he could help Leicester get back to their winning ways, he could also help Tottenham close the 5-point gap between them and title-holders Manchester City after getting knocked-out in both the FA Cup and the Carabao Cup. In other news, Leeds United youngster Jordan Stevens is eyed by Leicester City and Middlesborough. Stevens, who is 18 years of age, was handed his first-team debut off the bench in their away clash against Stoke. Leicester will look to win his signature by January 31, as they are yet to sign any players in this current window.